Here are some events and special announcements for the Calgary Tango community. We often have professional teachers from out of town and other news that might be of special interest. Please subscribe to our newsletter to receive updates. Happy Holidays (Feliz Navidad)! From everyone at Beso de Tango. All the best over the holidays and in the New Year to come! Tango classes will begin again for the U of C Ballroom Dance Club. Wednesdays at the Jewish Center of Calgary, 1607 – 90 Avenue S.W. Starting January 6, 2016 for 10 weeks 7:30-9:00, plenty of free parking, everyone welcome! The UCBDC Tango class for November 11 is relocated to Mount Royal Station Community Hall, 2317 – 10th Street S.W. 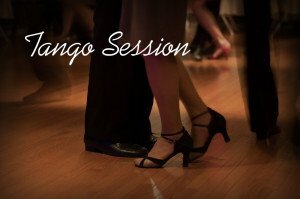 Class begins at 7:30-9:00 and is followed by a Mini Midweek Milonga open to everyone. Please join us! We say goodbye to our good friends Alberto & Fernanda as they return home to Buenos Aires. Thanks again from everyone at Beso de Tango! We say goodbye to our good friends Alberto & Fernanda as they return home to Buenos Aires. Thanks again from everyone at Beso!